A CORPORATE POLICY FOR PERSONAL ELECTRONIC DEVICES « THE BRYCE IS RIGHT! « IS THERE REALLY A CASE FOR PRES. TRUMP’S IMPEACHMENT? – Is it necessary to write a formal policy for use of electronic devices in the workplace? “It is critical that employees working in the manufacturing areas remain focused on the tasks at hand and do not have any unnecessary distractions. It is for this reason that our policy on portable personal electronic devices such as cell phones, blackberries, computers, I-pods, CD players, MP3 players, radios, video games and pagers are prohibited in the manufacturing areas. Company issued cell phones, computers, blackberries and pagers are acceptable as long as they do not create a hazard for the environment. In non-production areas such as an office, the use of personal portable electronic devices are at the discretion of the manager. Frankly, I thought this was well written and quite practical; on the one hand, the company highlights the safety issues involved, and on the other they recognize it might be acceptable in other areas of the business where safety is not an issue. As for me, I might have taken it a step further and added some verbiage whereby such devices should be prohibited from customer service situations where it is necessary to pay attention to the customer. It might also make sense to ban such devices from meeting and training situations. Come to think of it, situations where these devices can be used in the workplace without having an adverse effect on business is becoming rare. A “BusinessWeek” article (6/23/2008) reported that the amount of time the average U.S. worker loses to interruptions is 28%. This figure pretty much jives with the 70% effectiveness rate figure we have reported over the years (whereby in the average eight hour work day in an office setting, 5.6 hours are spent on direct work, and 2.4 hours are spent on interferences). 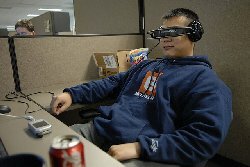 Frankly, interferences are a natural part of office life (nobody can be 100% effective), but now with these personal electronic devices in play while employees are working, one has to wonder what effect it is having on worker concentration. Some people, particularly programmers (who tend to be somewhat introverted), thrive on such devices. However, these devices can be very distracting to other job functions requiring more extroverted personalities, such as Sales and Customer Service. 2. Product/service defects and errors (workmanship). If it’s between entertaining the workers and putting the company at risk, I think it’s a no-brainer; the employees can wait until break time to enjoy such devices. I would like to thank the individual for sharing the above policy with us. It may not be perfect but it’s a good start. NEXT UP: JUST SAY ‘NO’…TO BUSINESS? – Is the customer always right? LAST TIME: IS THERE REALLY A CASE FOR PRES. TRUMP’S IMPEACHMENT? – The short answer, No. This entry was posted on October 20, 2017 at 8:00 am	and is filed under Business, Management. Tagged: A CORPORATE POLICY FOR PERSONAL ELECTRONIC DEVICES, Florida, palm harbor, The Bryce is Right, tim bryce. You can follow any responses to this entry through the RSS 2.0 feed. You can leave a response, or trackback from your own site.